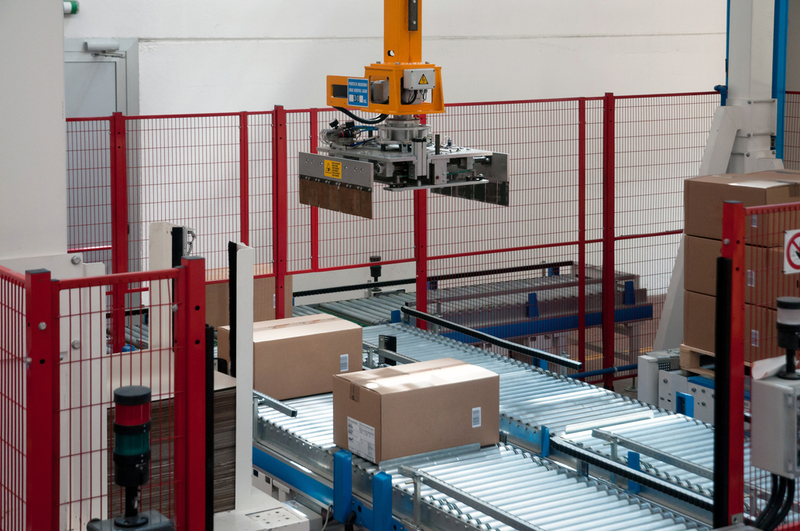 Blog Home > Automation > So You’ve Decided To Automate Your Facility. What Next? So You’ve Decided To Automate Your Facility. What Next? With the rapid increase of the pace of manufacturing and distribution, facilities that automate manual processes will increase their ROI and grow their bottom line. Customer demand is ever increasing, right along with the costs to service that demand. You want your warehouse to deliver faster and more efficient results without sacrificing production. You’re looking at automating components within your facility to produce this change. But how can you really get started? Knowing where to begin can be daunting. Don’t start by identifying solutions, vendors or potential process changes. You definitely want all departments within your facility on board with automation, as this change will affect each of them in unique ways. Be sure to explain the purpose and result and what to look forward to from this undertaking. Of course, your operations personnel must be ready to embrace automation and the training that goes along with it. IT must also be part of this solution to ensure efficient integration and support. Automation is inherently cross-functional, so information gathering from all stakeholders will reduce issues as the process moves forward. It’s important to see how other companies with similar solutions are staffing and operating their systems. Take the time to discuss your interest and plans with each company you tour, and leave no question unanswered. You will gain valuable insight and information that could improve your initial set up and help prevent unwanted headaches. These relationships are always useful as you move forward, by providing you with others in the industry with whom to discuss issues and solutions. Don’t dive straight into a full warehouse revamp, automate a portion of your operation and get a win, not the whole facility. This is an effective way to test the response from all departments as well as how the automation affects the entire warehouse. By starting small, you can measure and analyze a portion within your operations to gauge where your next move should begin. Any time you have to get a pallet or carton from Point A to Point B and back to Point A again, that’s an opportunity for automation. The area traveled, time spent and labor used are all factors that can be streamlined and reduced for more savings. For example, an employee hoisting boxes from a conveyor line onto a pallet is not a value-add activity that requires special skills or expertise. It’s a process that has great injury-causing potential; it’s slow and inefficient. It’s an easy example of a process aching for automation. You want people in place that have installed and operated the automated systems your implementing. Be it labor hires, consulting services and installation crews, make sure you have those that have done this before in your facility to avoid multiple setbacks and lessen the time spent learning how to manage your system. Every facet of your new automation system must be researched, planned, reviewed and discussed so that you avoid costly errors in the creation and operation going forward. Carefully studying the impact felt by each department and the increase in potential time and effort needed to operate and maintain the system are crucial factors to understand. You will want to have all involved familiar with each component so that you can ensure all functions can be counted on to operate correctly. If you haven’t done automation before, don’t assume you have the talent to run it, maintain it or stock spare parts to keep it running. Having a maintenance crew that is educated and experienced in the system you’ve acquired is paramount to keeping that system properly running. Keeping an inventory of spare parts will benefit your system in the long run, as no one wants their system down for lack of a part.